The poster for the event. 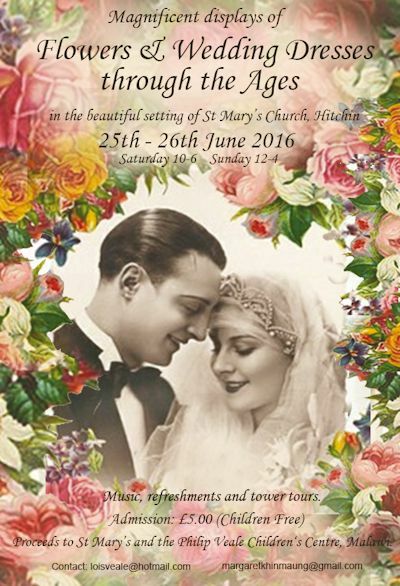 In June 2016 St Mary's Church, in Hitchin, Hertfordshire, held a spectacular festival of 'Flowers and Wedding Dresses through the Ages'. The church was decked with beautiful flower arrangements in every conceivable corner. A wide range of wedding dresses was put on display with dresses dating from the late 19th century onwards. The festival ran from Friday 24th to Sunday 26th June. 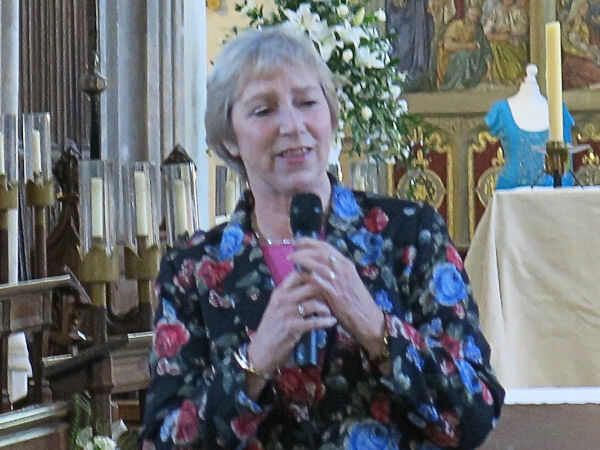 On the Friday evening there was a gala preview session with drinks and canapés, muscial items and guest speaker, TV presenter, Pam Rhodes. Funds raised were to be shared between St Mary's and the Philip Veale Children's Centre in Malawi. 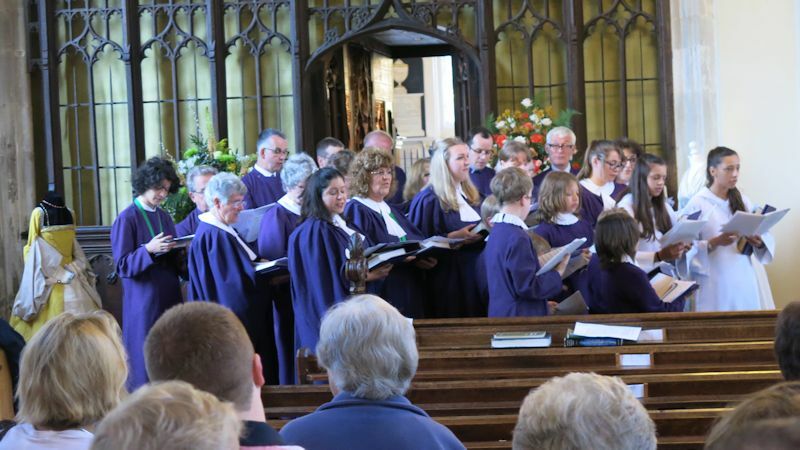 On Saturday and Sunday the church was open for visitors to see the dresses and admire the floral displays. Musicians entertained with short sessions throughout both days. 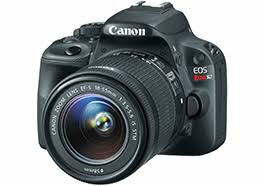 The organisers asked me to attend to photograph the event and make a video presentation. I was on holiday during the preceding week, so couldn't attemd the setting up days, but was present for much of the weekend. From here onward you can click on the pictures for a larger view. Previously I had used the 100D with a wireless microphone to record a piece to camera for one of the Historical Society films. What was was needed here was a microphone that could be mounted on the camera flash hot-shoe. 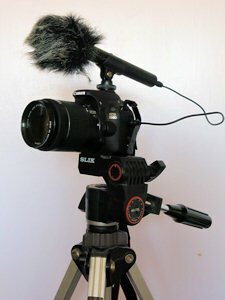 I already had an Audio Technica ATR25 shotgun stereo microphone, but over the years it had lost its screw-in connector plug and the mount for fixing it to a camera. A couple of judicious purchases on eBay remedied this shortage — the windshield was an extra that I thought would be useful This proved to be the first outing of the combination so I was feeling my way to some extent. On the Friday I had only arrived back from holiday earlier in the day. So it was a rush to get myself and the cameras and tripod together and get down in time for the start. 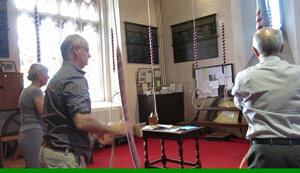 The bellringers were in full peal as I drove down. I was just in time to rush up the spiral staircase to the ringing chamber and catch the last 15 seconds of them ringing with the G15 in video mode. That wasn't enough for the finished film so I used the footage mute and overlaid a recording of the bells from 2013. I set up the 100D on its tripod with the microphone on top. 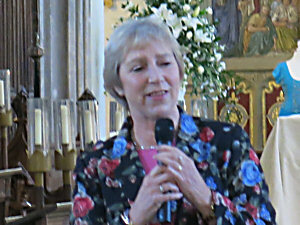 I intended to capture the introductory speech by TV presenter, Pam Rhodes. I was rather a long way back so the sound wouldn't have been very clear, even if I'd remembered to switch the microphone on. As it was I contented myself with using the still I took at the same time. The choir sang and this time I switched the mic on and got near enough to make a decent recording. In post processing I found I needed to extract the audio track and enhance it before re-combining it with the video. After that it was a matter of flitting round taking snaps of the people and the goings on. I spent most of Saturday on site taking video of the musicians and shooting stills, albeit rather randomly. There was a break in the live music over lunchtime which allowed me to go home. After lunch and on Sunday I was more methodical and photographed the wedding dresses in the order they appeared in the programme as well as taking pictures of all the floral displays. Somebody would complain if I missed their display out. It proved a bonus that I also photographed the caption alongside each of the dresses. Useful to identify them later, but also to give some details that weren't in the programme. I was able to go back into the ringing chamber and take a group of still shots to build into a panorama as well as a pan shot on video. 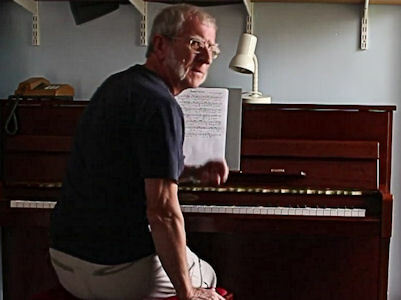 I was able to make videos of most of the musicians which I planned to use as short excerpts in a compilation. Some performers were slightly paranoid about the fact that they were using backing tracks or music which were copyrighted material. I tried to assure them that YouTube has very clever software that is able to recognise music and apportion royalties as needed. I think I managed to capture items that were, for the most part, in the public domain. However, the clips of the musicians needed a similar treatment to bring the sound level up to the required volume. By late September I couldn't put it off any longer and had to buckle down and write a script. Using the programme I sorted the dresses into chronological order. I looked at the video sequences of dresses and decided that they were not as good as using Pro Show Gold to do pan and zoom, so they were first on the cutting room floor. The stills of the preview evening were easy to assemble into a coherent slide sequence. Next, with the help of the notes in the programme and those on the caption cards I wrote some words listing the dresses in sequence from the oldest to the newest. Then it was into the voiceover studio to record the commentary (picture right). 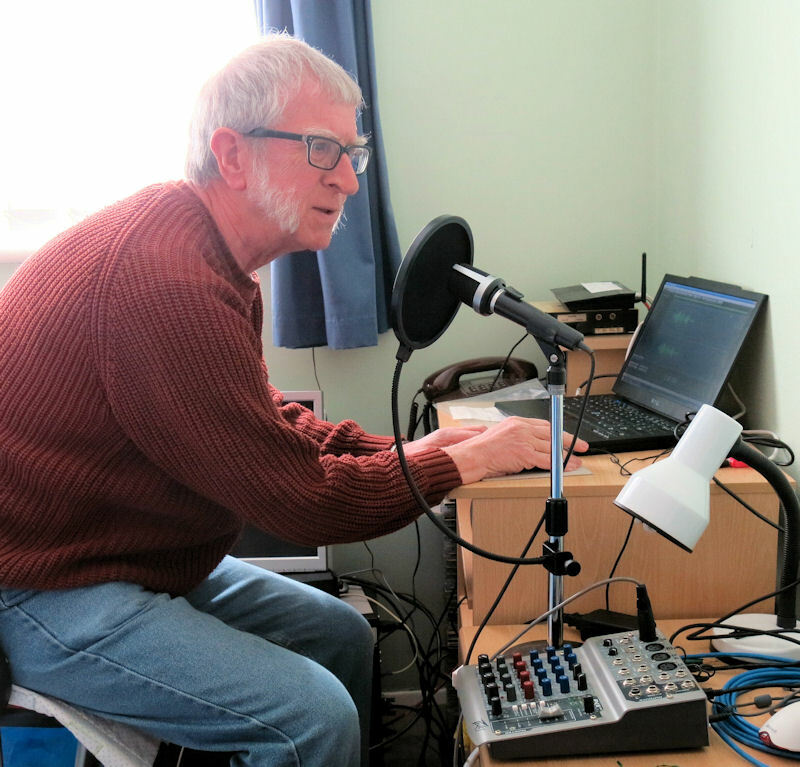 I use an AKG dynamic microphone with a cheap pop shield, which helps cut most of the room reverb. The input is a Peavey PV6 mixer with a direct USB feed into the small laptop you can see in the picture. I recorded the voiceover in one long take using an old copy of Adobe Audition. I split the recording into individual cues for the slides. I use Pro Show Gold to prepare the slide show part of the video. 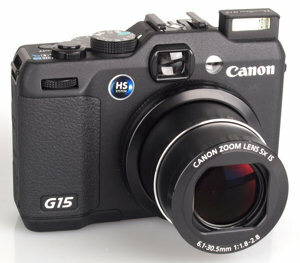 It's very flexible and allows smooth pans and zooms. 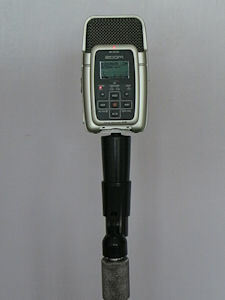 A sound clip can be attached to an individual slide. If it is longer than the slide's screen time, then it just continues to play over the subsequent slides. For music I wanted to use as much as possible of the live recorded material from the event. I was disappointed that none of the musicians played the old Sinatra number Love and Marriage by Sammy Cahn and Jimmy van Heuson. I wanted to use that for the intro and playout. 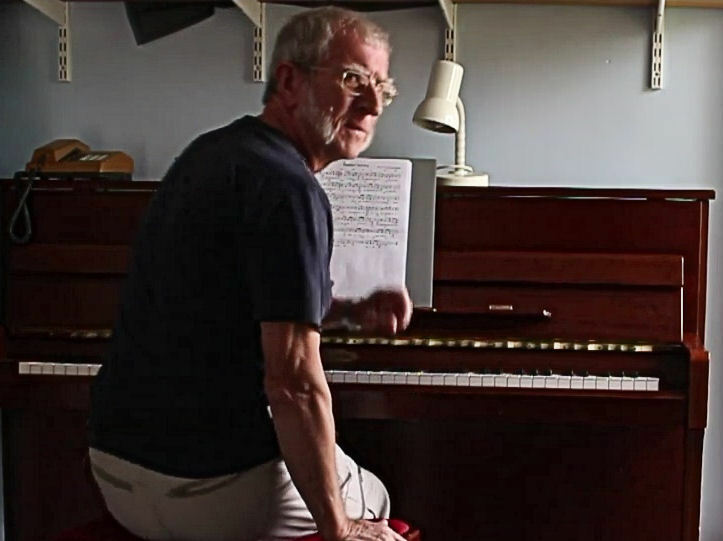 Rather than use the copyright Sinatra version I played my own version on the piano. 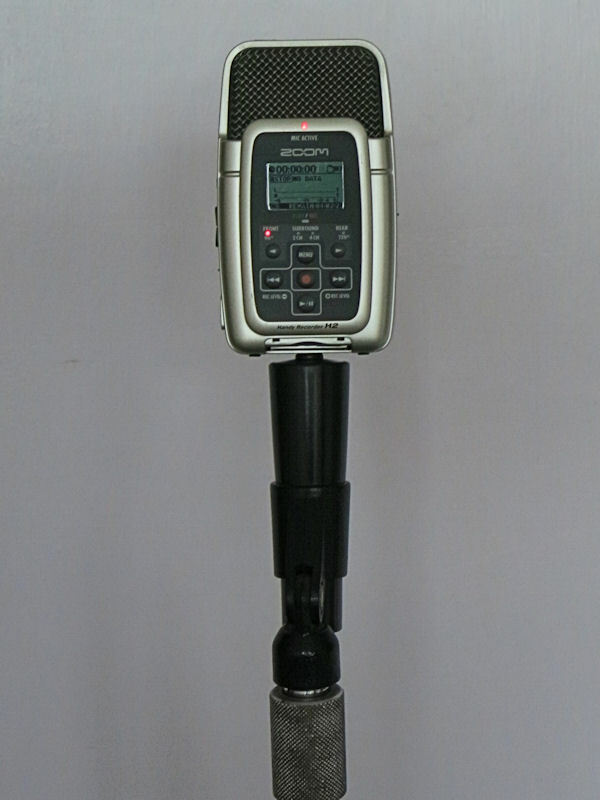 I have a Zoom H2 portable digital recorder which is excellent for location sound recordings. It has an adapter to fit a normal microphone stand. I've added a bit of reverberation to the sound. You can play the recording by clicking the link below. Notice there's a mistake in the middle 8, but it's covered by the commentary in the final video. I use Corel Video Studio to join the various slide show sections to the live video clips and to add captions and background music. The process is much as described in my video 'Making an Audio-Visual Presentation' which you can watch on YouTube (below). Here is the finished product on YouTube in glorious wide-screen colour and stereophonic sound.